Ecology by Design highly experienced team of ecologists brings together a wide range of experience & specialism. Visit our site to find out more about us. Our team brings together a wide range of experience and specialisms to provide a comprehensive range of services. The team is dynamic and is selected specifically for each project to ensure a bespoke innovative solution to each challenge. We are a new, refreshing consultancy but with a solid background in both large and small consultancies and experience with a wide range of clients. Our mantra is that if we cannot solve the problem we know someone that can. We work with clients, in-house staff and specialist contractors to provide a truly comprehensive, cost effective and pragmatic solution. Ben established Ecology by Design in 2015 after a successful career spanning central government and environmental and ecological consultancy. He has over 15 years' experience of working in ecological consultancy and is a Chartered Environmentalist (Cenv). Ben has expertise across the full range of ecological surveys, providing mitigation both under licence and unlicenced. He has experience working with both public and private sector clients across the UK and in North America. Ben holds survey licences for bats, great crested newts and hazel dormice and thrives on designing and implementing innovative and pragmatic mitigation to solve technically difficult ecological constraints. Laura joined Ecology by Design in April 2019 having spent 11 years working with a large ecological consultancy. She routinely undertakes Phase 1 habitat surveys, and completes field surveys and reports for protected species including bats, dormouse, reptiles, badger, otter, water vole and great crested newts. Laura is a bat specialist, holding a personal Class 2 licence to survey and handle bats and a Level 1 Thermography Certification to survey bats with infra-red and thermal imaging equipment. She has secured numerous bat mitigation licences for development projects. She also holds a Level 1 personal survey licence and has secured mitigation licences for great crested newts. Lindsay joined Ecology by Design in March 2018. Prior to this she worked as an ecologist at a multidisciplinary environmental consultancy. She has an MSc in species identification and holds great crested newt, bat, roman snail and rare reptile survey licences. She conducts a wide range of protected species surveys and has designed mitigation strategies for reptile and roman snail sites. Lindsay is currently advancing her skills as a botanist and enjoys participating in recording events with BSBI. In her spare time Lindsay is a keen vegetable gardener and outdoor swimmer. She likes to combine travel with ecological pursuits; she has tracked wolf and lynx in Slovakia and last year hiked in the ancient, species-rich grasslands of Transylvania. We have a new ecologist joining the team in 2019. More information will be added in the future. In the mean time if you would like to work with us do get in touch. Kate joined Ecology by Design in March 2017 after completing a graduate ecologist training scheme. She has experience undertaking bat, water vole, tree hazard and badger bait marking surveys and is currently training for her great crested newt licence in addition to starting a rare reptile course in April. 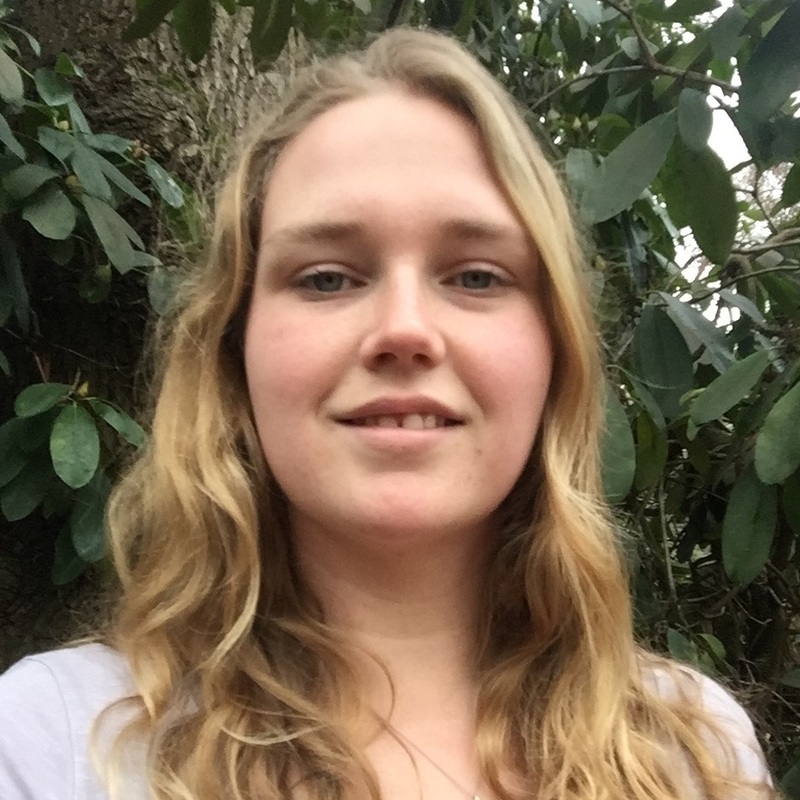 Kate loves an adventure and spent a year living in the jungles of Madagascar studying lemurs and has worked in Belize surveying stingrays and sharks as part of her Zoology degree, her next trip will hopefully be to India. She enjoys kayaking, scuba diving, cooking and eating! Emily joined Ecology by Design in March 2018, having gained experience in ecology through a social enterprise focusing on corporate engagement in biodiversity conservation, an independent ecology consultancy and most recently a sustainability consultancy in London. She has experience in protected species surveys, habitat management and mitigation, and currently holds a level 2 bat licence and level 1 great crested newt licence. In her spare time, Emily enjoys creative pursuits and exploring the outdoors with family, friends and Kat the dog. Joseph is a graduate Zoologist and has recently completed an MSc in Species Identification and Survey Skills at the University of Reading. He has experience with a wide range of ecological surveys including preliminary ecological appraisals, great crested newt surveys, bat surveys and invertebrate sampling. He has a keen interest in ornithology and entomology and spends a lot of his time either looking at the sky or squinting through a hand lens at some obscure insect hanging from a plant. Beth joins us as an intern from the University of Reading MSc in Species Identification and Survey Skills course. Beth is keen to gain experience with a consultancy and is excited about the placement with Ecology by Design. She has a keen interest in everything equestrian and regularly competes.